This smart blazer by Scotch & Soda is the epitome of elegence in children's couture. Made of finely printed dots that creates a cosmic texture. Double breasted with 2 x 2 buttons. Lapel collar. Classic fit with a bit of stretch. Two flap front pockets, chest pocket and inside pocket. Decorative buttons on the sleeve openings. Partly printed lining and fully lined sleeves. 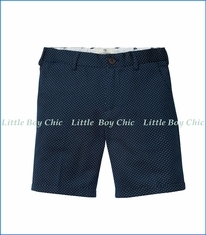 Pair with Scotch & Soda Elegant Dress Shorts. 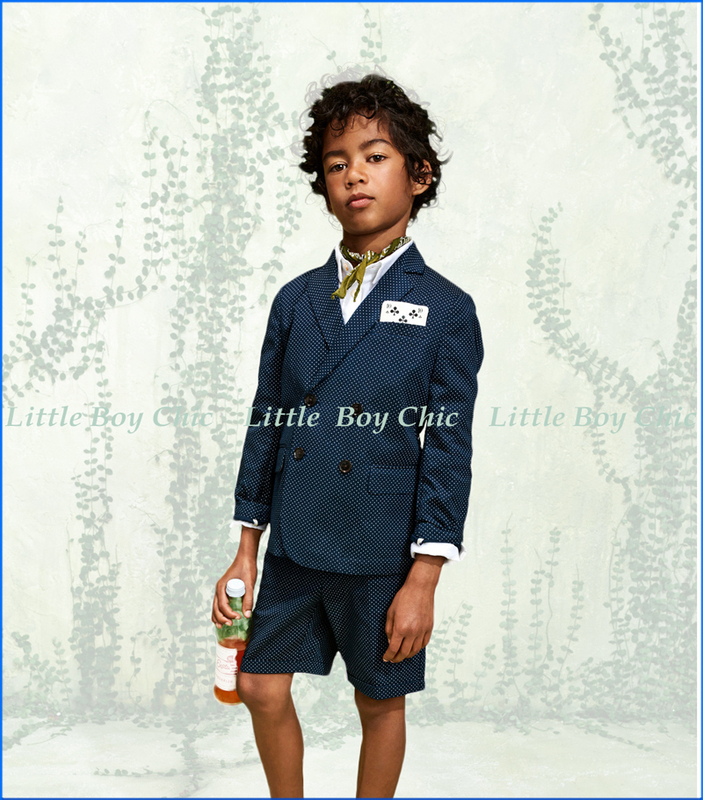 We chose Scotch & Soda’s Children’s line 'Scotch Shrunk' to join our family of LittleBoyChic brands this Spring Season, due to their commitment to spare no expense in ensuring the high quality detailing and finishing of each and every garment they produce.